Ever since its launch in the Indian Market last year, Toyota Yaris has not been doing well in terms of sales. To make things better for the Yaris, Toyota dealerships are now coming up with huge discount offers. The Yaris is placed in a segment which accounts for about 12000 – 15000 monthly sales on an average. It competes with C-Segment sedans like Maruti Suzuki Ciaz, Honda City and Hyundai Verna. Coming to the discount, Toyota is offering benefits up to Rs 1.5 lakhs. The discount includes exchange offer, cash discount, free insurance and accessories. In addition Yaris buyers will also get a get a gold coin on purchase. Initially Toyota managed to sell an average of 2000 units monthly, which was a decent number. But in recent months things have changed drastically. In the month of January Toyota only sold 343 units of Yaris. This was the lowest monthly sales number ever recorded since its launch. 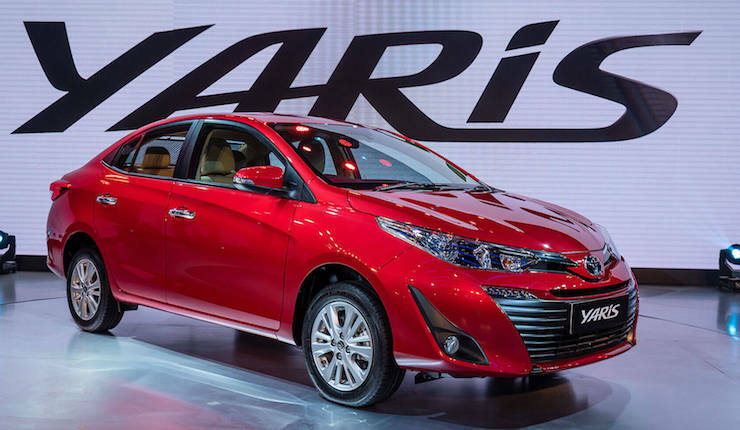 This makes Yaris the lowest selling sedan in the segment. It is even behind Skoda Rapid and Volkswagen Vento. Toyota offered the Yaris as a premium sedan and it was priced at approximately Rs 9.26 lakhs, ex-showroom Delhi. Which makes it expensive than most of the other sedans in the segment including the top sellers like Maruti Ciaz, Honda City and Hyundai Verna. In terms of features the Yaris is well equipped. It gets ABS, 7 Airbags, roof mounted rear AC vents, Tyre Pressure Monitoring System, Ambient lighting, powered driver seat, disc brakes on all four wheels, gesture control touchscreen infotainment system. It even comes with front parking sensors which no other car in the segment offers. Under the hood, Yaris is powered by a 1.5 liter four-cylinder petrol engine that generates a 107 PS of power and 140 Nm of torque. It gets a 6-Speed manual transmission and 7-stepped CVT automatic transmission. The CVT transmission is also available in the base variant of the Yaris. Toyota has positioned the Yaris as a premium C-Segment sedan, and this is the reason why the automaker has packed the car with so many features even on the base variant. There’s a critical option that’s missing in the Yaris line up though. Unlike other cars in the segment, Toyota does not offer a diesel engine in Yaris and this could be a reason why it is occupied the last spot in the sales chart. The car’s chief competitors – the Honda City, Maruti Ciaz and the Hyundai Verna – offer a diesel engine option. « Kia Carnival video review: What more does it offer over the Toyota Innova Crysta!